Calendars, otherwise known as the “silent salesman” are a great way to advertise and promote your business. Easy to post, inexpensive to produce and practical, printed calendars are a branded marketing and promotional gift not to be missed. Make the most of your marketing budget with our unmissable calendars printing, maximise your visibility and expand your business. PrintUK.com provides high quality but cheap calendar printing and design. PrintUK.com have an extensive range of exceptionally high quality calendar templates, layouts and designs to choose from, whether it be desk calendars or wall planners, we have exactly what you need. Our calendar printing range includes styles and tastes for all budgets. Including slim line calendars, double-A4 calendars, pocket calendars and a whole host more but do get in touch if you have bespoke design requirements as we are happy to help! View all Calendar Design options. Get organised in style with printed calendars. A branded and printed calendar generates a high visual impact it is therefore imperative you get it just right when it comes to the graphic design. Calendars should be carry your business logo and contact details on in order to convert sales. Remember you want your customer to hang your promotional calendar or keep it on their desk so ensure that you use fantastic imagery and photos so that they'll want to keep it their for the year, this will allow your details to be in front of them as the first port of call for your products and services as and when they're needed. Design your calendar online today or Upload your artwork files and order your calendar printing and we'll deliver it right to your door. Ensure your contacts details are clear and visible on each page. 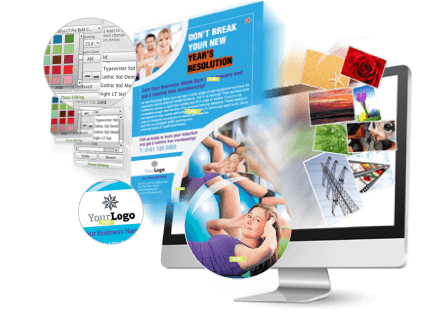 Eye catching imagery and graphics are essential whether it be your logo or illustration or photograph. For consistency try and make all images the same orientation. Experiment with your design but ensure your corporate branding is still noticeable. Triple check that the dates are correct for the new year. When uploading your calendar artwork please ensure the document size has a 3mm bleed on all edges. 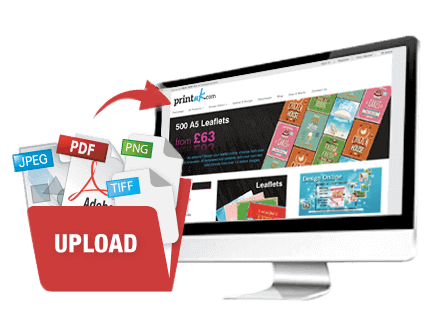 Supply your calendar artwork as single pages in high resolution (Press Quality) PDF format. Printed Calendars are essential to your business branding, we have a variety of calendar templates to edit online. Click below to get prices and search the library. You can search by industry type, product, size, even colour. It's really easy! So when you upload and save your calendar design you can come back to it anytime, on any computer. Despite the dramatic changes in technology we are all encountering, the physical branded and printed calendar still holds a strong position as an effective marketing tool. Promotional calendars are a great way to connect with your customer. Remember you have 12 months of space for potential sales messages and space to splash your branding to entice your customers to get in touch. Send 14th Month calendars starting from the end of the year, beat the crowds and fill an office with your brand and logo first. Ensure that you design your calendar to a level that people will want to hang it up, keep in mind if you'd want to hang it up yourself. If you get your branded calendar correct, it'll drive sales and increase your business growth. With our ability to produce calendars in the more traditional style lithographically or using more current digital print technology we can produce a calendar suited to you. Quality and attention to detail are at the heart of what we do. Our print production adaptability allows you to design your calendar / wall planner online in any style you wish, whether it be uploading your own design or choosing from one of our popular design templates. Get creative and give your high quality calendar that WOW factor. Here's an example of our calendar range: Advent calendar, Wall planner, Thumb cut calendar, Single page wall calendars, Desktop calendars, Monthly calendars, Promotional calendars, Wall calendar, A3 calendar, A4 calendars, A2 Wall planners. Printed and delivered to you in white label packaging.